Mother’s Day is a global commemoration day that honours mothers and motherhood every year. 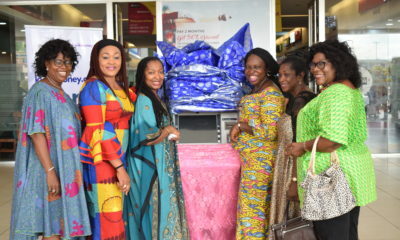 It’s also a day when brands typically send out goodwill messages to mothers in their communities and around the world. 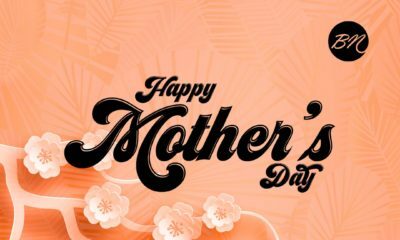 In Nigeria, last Mother’s Day belonged to a brand that is usually behind the scenes – an advertising agency. In a part of the world where, for many adults, disciplinary encounters with mum was a key part of growing, SO&U’s Mother’s Day campaign was insightful, engaging and loaded with tons of nostalgia-inducing wittiness. The campaign rekindled childhood memories in a fun way, taking us back to a time before video games and mobile devices when growing up often meant clambering over neighbourhood walls, ducking through backyards and, every now and then, engaging mum in a cat and mouse game that mum often won. Each ad humorously profiled the common tools used during these corrective episodes between mother and child in a way that resonated across Nigeria and beyond. The response was overwhelmingly positive with over 2 million impressions on Twitter and shares across local and international social media platforms. Most responses reminisced over their own experiences while many contributed suggestions toward extending the campaign. SO&U is a well-known name in Nigerian advertising circles and has been behind some of Nigeria’s most celebrated campaigns over the years. Currently, their portfolio of clients includes Glo, Access Bank, Unilever, Diageo and Indomie Noodles. Head straighter also known as Dunlop slippers, Lol ! Two of the above was forbidden (the slippers and broom) when we were young. We believe it to be a taboo to be used to beat a child. Even now that I have mine own children. I can’t use same. But this is worldclass level creativity. I didn’tknow about this company until now so it’s clever what they did. My uncle sent it to me through WhatsApp and was saying a lot about it. He used to think Nigeria’s only ways of showing creativity is through music. He’s wowed. I like it because it makes me smile and makes me have fond memories about my mum. I’m coming to Naija after my film studies and I’ll like to be part of a creative company. I find this neither amusing nor creative at all. So the only thing SO&U to come up with to celebrate Mother’s Day is to hearken to outdated methods of discipline and to promote child abuse? @Thelma make we hear word abeg. Spear the rod and spoil the child. Used in moderation, some form of corporal discipline is sometimes expedient in raising a child. Each to his own.